AiClay - a Haven of Miniature Food: My first Flickr Explore! This photo wasn't due to be blogged for a few days, but I decided it would lose its significance if I didn't blog about this good news as soon as possible. For those unfamiliar with Flickr, Flickr staff chooses 500 photos based on interestingness every day from the sea of photos uploaded worldwide. 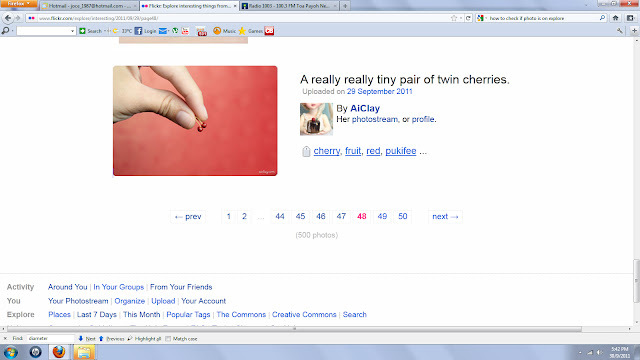 A really tiny pair of twin cherries, made in 1/12th scale. Congratulations! The cherries are amazing.